bordered in red and green on a black background. 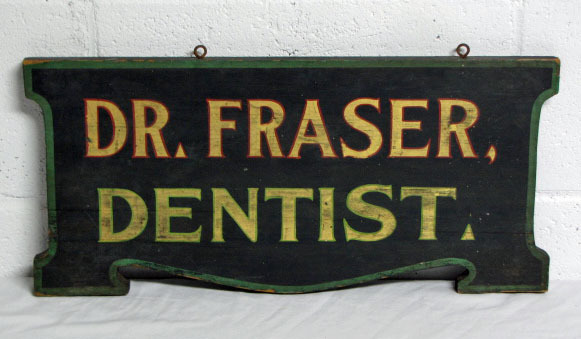 Sign is bordered in green with a footed and scrolled shape, like the shape of this sign. It remains in good condition and measures 20" wide and 9 ¼" high.